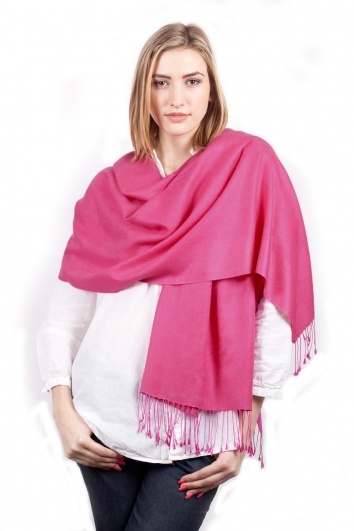 A beautiful cerise pashmina with tassels. Soft and fine yet warm - ideal for over the shoulders on those cooler summer days and evenings. Comments: My Pashmina was packaged beautifully, I was really impressed with everything.